I’ve been in transit between research locales (and across time zones) and find myself inspired as a result to write about “Wings,” which is still so impressive for its amazing portrayal of World War I dogfights between American and German pilots. It was so vivid — such a head-spinning documentation of improbably tiny planes whizzing around one another and hurtling down from the heavens — that it roused my fear of heights; I actually had to shut my eyes and grab onto the armrests. !! If you have the chance to see a silent film on the big screen with live music accompaniment, just go. Don’t miss it, no matter how cheesy the film. Silent films simply do things that later films don’t — and risking the lives of their actors was one of them. Aside from its gee-whiz plane antics, watching this film reminds you of everything that has changed in the 80-some intervening years. Let me name the three most prominent: 1) the prominent tale of love between its two male leads; 2) its portrayal of mother love; and 3) its odd ambivalence toward war. First, on the love between its middle-class hero Jack (Charles “Buddy” Rogers, on the left above) and the wealthy David (Richard Arlen, right). 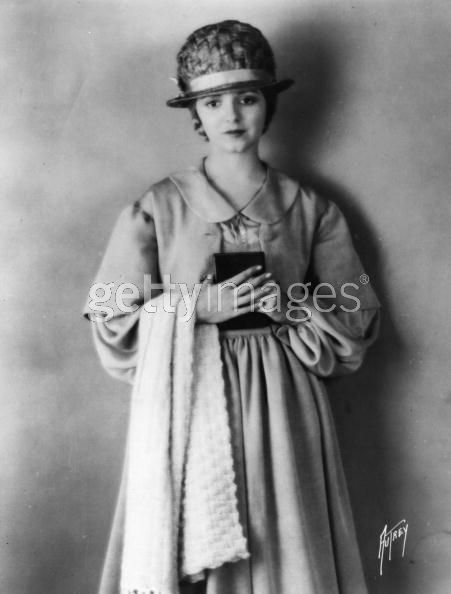 Mary (Clara Bow, looking a bit wise to the situation here) loves Jack but knows he hasn’t got eyes for her; the two men start out ostensibly fighting over another girl. 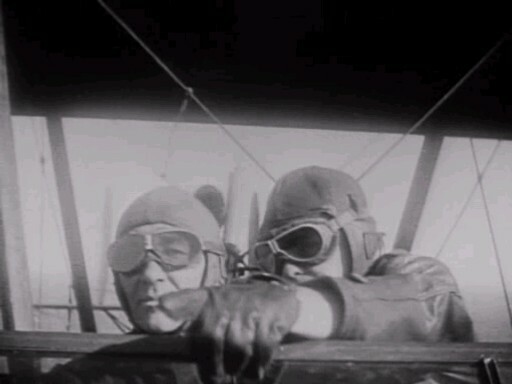 Their animosity comes to blows during flight training camp in a vicious boxing match between the two men, during which Jack knocks David to the ground several times. But seeing David covered in blood yet still getting up for the last time changes something in Jack’s heart. “Boy, you’re game!” he cries, and they’re best buddies. This sounds hopelessly corny — and much of the movie is corny — yet this scene is oddly touching, perhaps because Arlen shows himself in these scenes to be less serious and angular, as he seemed at first, than surprisingly slight and tremendously beautiful. But then the always-too-beautiful David is injured, and they share a tender moment in each other’s arms. 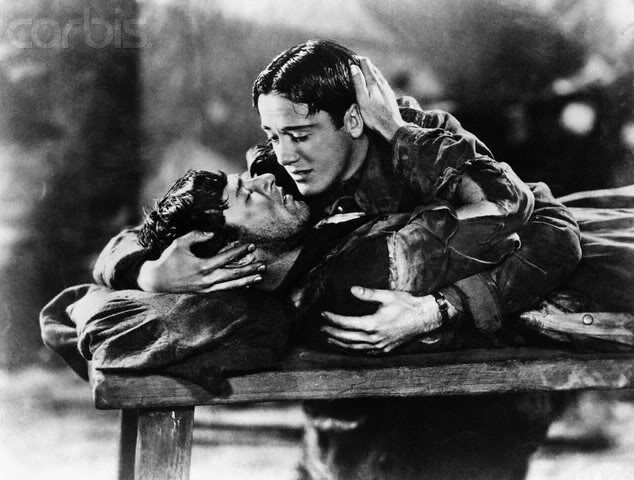 I remember seeing this scene near the end of “The Celluloid Closet” as an example of queer moments onscreen in Hollywood’s early years and wondering if it had been cherry-picked out of the film. It wasn’t: it’s not going too far to say that women are always secondary to the story of these men’s love for one another. While Mary waits for Jack to come around, the bulk of the film displays his true love for David and their love for one another that goes beyond being buddies. The audience had been warned that there would be a kiss between the two male leads, but they weren’t ready for the sentimental scene as David bids goodbye to his parents. As they gaze at him with sorrowful, worrying faces, David kisses his mother on the lips — prompting audible gasps and nervous giggles from some audience members. It’s a great example of that era’s remaining, uncomplicated belief that a mother’s love was the purest of all human loves — and that a son ought to feel a lifelong debt to his mother for the sacrifice she performed in giving birth to him, as Rebecca Plant shows in her elegant new book, Mom: The Transformation of Motherhood in Modern America. It’s so interesting that men kissing one another reads as so much less transgressive than his kissing his mother. The story of that transformation is fascinating and will change how you feel about your mother. And then there’s war. It’s a film about WWI made in 1927, so we can forgive it for its Ameri-centrism — according to this film, the United States won the war singlehandedly — but it genuinely doesn’t know what to do with the philosophical question of war. At times, it seems to offer the usual kind of critique of war, particularly when faced with death. The film kills off vast numbers of fliers and shows unhesitatingly the grief of the “gold star” families who lose their sons. Yet it’s hard to believe that these scenes appeared as anything other than stock in comparison to its gung-ho, glamorous and exciting scenes of darting about the clouds in planes, killing enemies. Taken together, the bonhomie of the pilots and their heroism in the air seem so appealing that it must have given the Army a huge uptick in recruits. In fact, the threat of death only serves to enhance the appeal of the pilots’ lives. 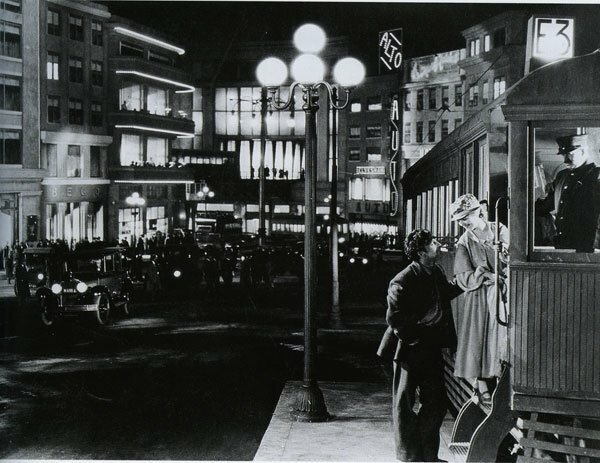 1927 America was so far away from postwar Europe, and 1938 or 1939 loomed so far ahead in the future, that Hollywood could indulge briefly in a love affair with war heroism with few qualms. It’s fantastically productive of thinking to imagine what happens between wars, as culture re-imagines the past and helps to anticipate the future. 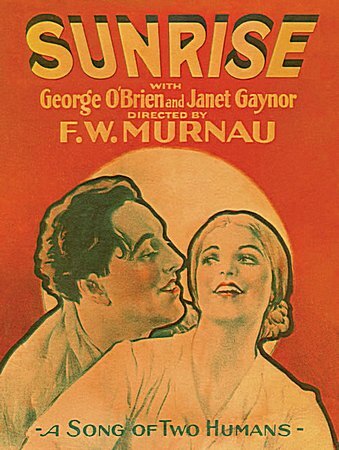 Overall, “Wings” engages in familiar narratives that talking pictures would utilize later on — much more so than some of the other silents I’ve seen recently, like the wonderful “Sunrise” (1927) that won Most Artistic Production at the first Academy Awards ceremony. 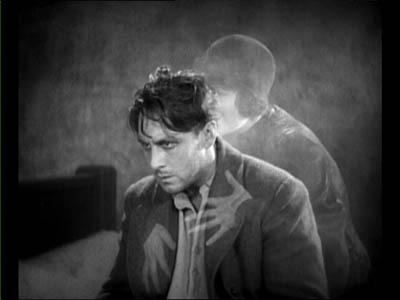 But it’s still a surprising and wonderful film that shows why we should be watching silents now. They help remind us of the jaw-dropping capacity film has — in an era without CGI. In contrast. “Avatar” looks lame.